EIL Recruitment 2017-18: Apply Online for 229 Trade Apprentice, Technician Apprentice Vacancies in EIL recruitment 2017 in New Delhi, Gurgaon, Chennai, Baroda, Mumbai, Kolkata. New recruitment Jobs 2017 notification published for the post Director of EIL recruitment 2017 read complete details before applying. 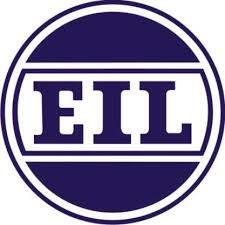 One Vacancy in EIL for the post Director. EIL Recruitment 2017 Job alert both Fresher and Experienced can get EIL recruitment 2017 updated on November 8, 2017, notification of recent EIL recruitment 2017 openings across India. This is an exclusive page updated on 08.11.2017 for the latest recruitment notification from Engineers India EIL 2017 it contains both active and recently expired Job openings and recruitment notification from EIL 2017. Engineers India Limited (EIL) is a Navratna public-sector undertaking of the Government of India under the Ministry of Petroleum and Natural Gas. It was set up in 1965 to provide engineering and related technical services for petroleum refineries and other industrial projects. EIL has its head office at Bhikaji Cama Place, New Delhi. 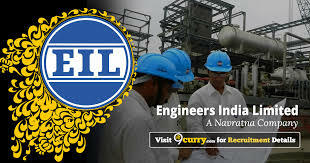 EIL also has an R&D complex at Gurgaon, a branch office at Mumbai, regional offices at Kolkata, Chennai, Vadodara, Inspection offices at all major equipment manufacturing locations in India, overseas offices in London (England), Abu Dhabi and Malaysia. Engineers India Limited comes up with latest recruitment details on the various post based on Education / Qualification for the interview process all over India. EIL Selection Process : Selection will be made on through merit list based on the percentage of marks obtained in the qualifying exam. How to Apply EIL Vacancy : Interested candidates may apply Online through below-mentioned steps. Eligible candidates need to apply through online registration system on EIL website http://www.engineersindia.com. To apply visit the career link on the mentioned website.Read CAREFULLY all the instructions given on the website.Fill in the online form with all the relevant correct details.The candidate before starting online registration should keep the scanned copies of the following documents/ certificates ready for uploading during registration of application: a) Passport size colour photograph in .jpg/.jpeg format of not more than 75 KB size b) Signature in .jpg/.jpeg format of not more than 25 KB size c) Qualifying certificate of not more than 900 KB each in PDF format d) Caste certificate (SC/ST/OBC- Non Creamy Layer) and Disability certificate (PwD), if applicable, of not more than 500 KB each in PDF formatThe candidates are not required to send the print out of the registered application form filled online.